Did Cam Newton and His Pastor Father Seek a Pay for Play? Jim Tressel said he didn’t know who to share his information with. This is a little like saying I didn’t know where to throw the grenade. Anyone with a lick of college football sense knows if someone tells you your players might be seriously violating some NCAA rules, you go right to your school, your athletic director, your president, and you say. “We might have a problem.” You don’t sit onthe information hoping it will go away – anymore than you would hold onto that grenade. 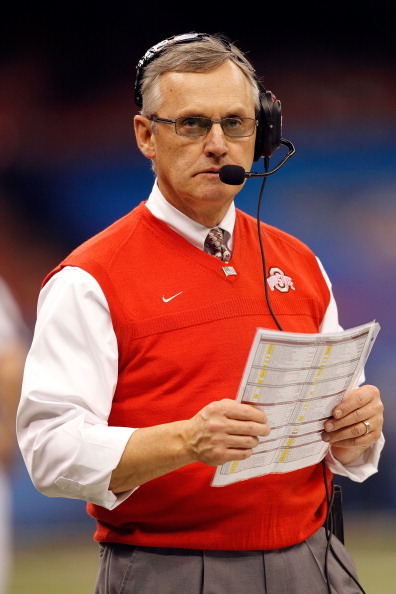 Tressel sat on his information, most likely because it involved star players. In the end, those star players, for the very facts that Tressel was warned about, got a five game suspension. Tressel got two. It makes you wonder who’s the adult and who’s the kid here. This entry was posted on Sunday, March 13th, 2011 at 11:58 am and is filed under College Sports, QuickTakes. You can follow any responses to this entry through the RSS 2.0 feed. Responses are currently closed, but you can trackback from your own site.